Mike and Judith Annan love travelling. After nearly a decade touring the world in their Mercedes motorhome, they’ve now started to explore the canal network in a floating moterhome. Now there’s a lifestyle to envy! I am Mike Annan and my wife is Judith. we were fortunate in being able to retire early with a clear plan of what we wanted. We sold up in the Uk and bought a small holiday home in France and a Mercede’s based motorhome. For 9 years we travelled the whole of Europe, the Arctic Circle and North Africa. Then we drove to Beijing via Turkey, Iran, Turkmenistan, Uzbekistan, Krygyzstan and back via Mongolia and Russia. The following year we were off again to Nepal via Iran, Pakistan and India. The longer trips took 7 or 8 months. We realised that our trips became more and more difficult. We could not return to Libya, Egypt, Iran, Syria etc. so what shoule we do? A widebeam or narrowboat seemed the answer and a narrowboat posed fewer restrictions so here we are. 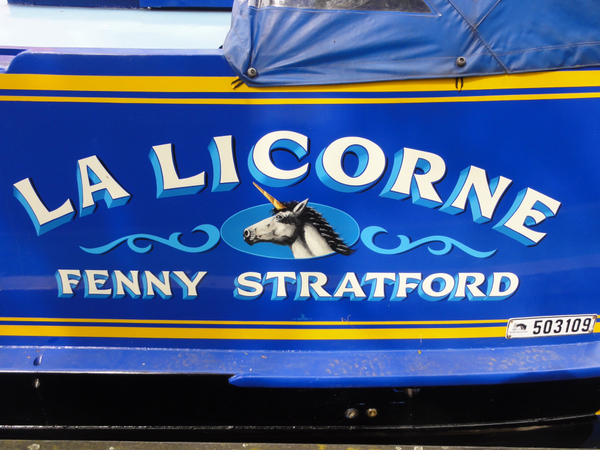 Our boat is called La Licorne after my favourite character Tintin. Yes at Yardley Gobion just 12 minutes from our flat. Kingfisher Marina is a small private Marina north of Milton Keynes. It is quiet, secure and has good pontoon mooring. There is an adjacent boat yard with diesel, pumpout and drydock. What more could you want? A 50 foot semi trad built by Midlands Canal Centre. Our plan is that like our motorhome we will spend about 7 months a year traveling in our boat. Definetely not! Retiring early was the best thing I ever did. However I have recently written a novel which has been accepted for publication, and we are both doing OU courses. Freedom, peace, quiet and the many friendly boaters. Having spent 6 months finding our ideal boat I am not sure I can answer that. Walk, bus or taxi it has not been that difficult. We have a washing machine run off our 3.5 travelset generator. Having had 9 years with a Thetford we decided on a pump out. The stretch of the GU between Foxton and Watford. Twin alternators, p,us a new Victron Inverter. No idea what we use but it works. Look, look and look again. Winter that’s when we fly South to warmer climates. Here’s the La Licorne blog. You can read it here. 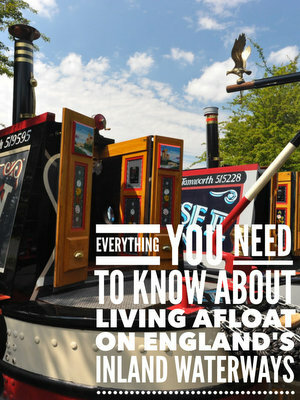 Are you one of the lucky few who lives the dream on board your own narrowboat full time? Would you like to share your experience with some of the thousands of potential floating home owners who visit this site? If you can spare the time to answer a few simple questions, I would love to hear from you. Just let me know so I can email the questions to you. I’ll create a post like the one above complete with a link back to your own blog or web site.